Used in 514 recipes at an average of 1.622%. This is a Greek Yogurt with Mango. To create the mango I wanted I combined FLV Mango 3% with CAP Sweet Mango 1.5% and added 1% of CAP Juicy Peach to get a more authentic mouthfeel as a perfect ripe mango does. To tame down the sickening sweeteness CAP Sweet Mango brings to the mix I threw in 3% Golden Pineapple and .7% CAP Lemon Lime and these 2 flavors brighten up the mango flavor as well. CAP Lemon Lime has a dual purpose in this mix. It brightens up the Mango and it turns the FLV Cream and FA Cream Whipped into a Greek Yogurt. 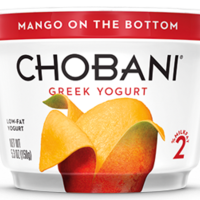 I have been experimenting with this for quiet some time and usually I would throw .4% of INW Cactus against it to turn it into a Greek Yogurt but in this recipe it affects the mango flavor too much. As always .2% Super Sweet is optional and in this recipe not really necessary. If you like your yogurt with some cereal in it, 2,5% CAP Cereal 27 does the trick. You can vape it right away, but it takes 1 week to grow to it's full potential. Sometimes colors tell us something we don't know already. 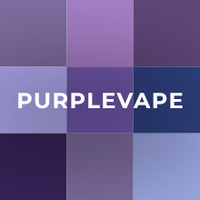 In this recipe I tried to mix up two of my favorite FA purple Flavours: grape concord and violet. FA almond here is used like an additive to calm down the floral violet note and the aggressive grape flavour. Cotton candy and cream is the way to milk and combine all together. I like this with a 0,5 of sweetener, but this is very subjective. Succulent Strawberry with the help of FA Liquid Amber provides the Strawberry type jelly in The pastry. 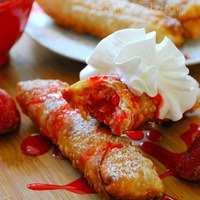 RF Deep fried Sponge Cake is the Pastry wrapping the strawberry. As I was not seeking a very cakey Pastry, all that was needed to boost this flavor was some FA Joy to give more of the fried feel. As a topping I added OOO powdered Sugar and FA Whipped Cream. 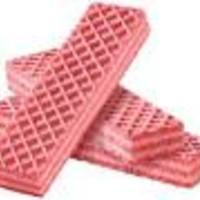 To me this tastes exactly like those cheap strawberry wafer cookies. The OoO vanilla wafer is essential as it really does taste like the vanilla version of the wafers. (if you prefer vanilla, don't add the strawberry) This is a shake and vape. Melons and cream. The shining star in this recipe is of course the TFA Honeydew even at just over 1%. PUR and LA watermelon help to round out the melon base in the recipe to make it a more FULL and natural melon vape. LA watermelon is such a great tasting and strong watermelon aroma, alone it is more of a candied melon, so I use the PUR version here in conjunction to help soften the LA watermelon up a bit and make it more of a natural melon. FA cantaloupe is the foundation of the melons here. 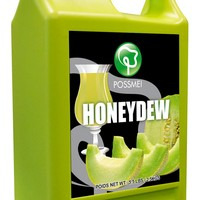 It just works, it seems as if its holding up the honeydew, and watermelon in a way that it is filling in any gaps and lower base notes that the other melons are lacking, giving us more of a full, wet and well rounded melon. 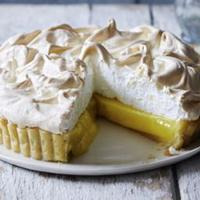 The whole goal of this recipe was to create a delicious melon and cream vape, using a cream note that was a little lighter and not overly heavy but not to light either. The final verdict was CAP Marshmallow as a main cream note for obvious reasons while also using FA meringue and FA whipped cream to fill in the cream and give it a fuller mouth feel and vape experience. The cream is a lighter type of cream, which is what i was aiming for. Mix it up and feel it out. If you like it, leave a review. Thanks and enjoy! This is obviously a little change on HoneyDEWWEY : A Boba Remix. I really loved the mix but TFA Honeydew isn't a ADV to me. This is a lot more mild as JF Honeydew isn't such a abrasive flavor as TFA's version. 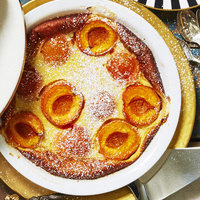 You can use CAP Cantaloupe here is you wish. I prefer using FA's version. I kept the TFA Circus Cotton Candy as I really liked the candy finish in the mix. One of the first recipes i did when i had about 10 flavors in stock. 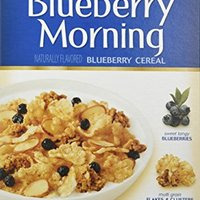 this recipe was an accident - trying to create something else and this batch reminded me of the blueberry morning cereal my parents had in the pantry. 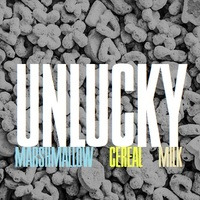 I think it could use a nice fresh milk flavor added to it.